Old violins found in the attic or violins that have spent most of their lives stored in cases somewhere out of sight are sometimes called attic "strads". 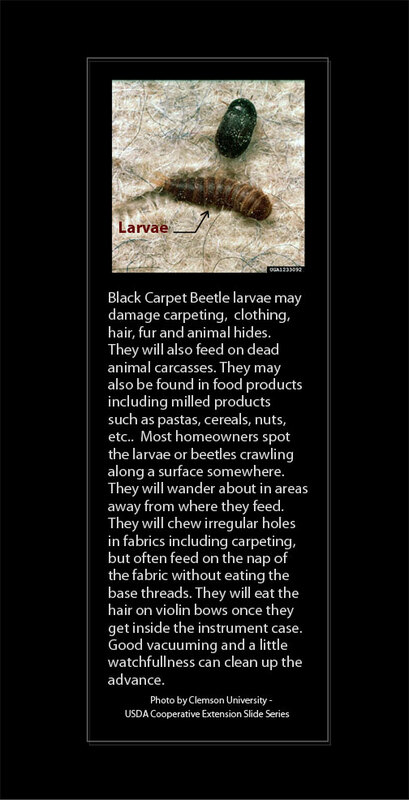 They have not sounded a note for many years and their bows have had their hairs eaten away by tiny creatures known as bow worms (black carpet beetle larvae). Some instruments may still have the old 'gut' strings attached. The wood may have come unglued in places and some parts may be missing or broken. The varnish may be smudged with bow rosin and may show scratches from carelessness and neglect. There is a quaint odor which comes from the old cases. There is a nostalgic look and feel to old fiddles and some people may see them as antiques. More often than not, their value may be minimal. But if the instrument has decent wood or shows signs of being well crafted to begin with, it may have the potential for restoration. That would first have to be determined by a qualified repair artisan, stringed instrument luthier or maker before undertaking such a restoration. 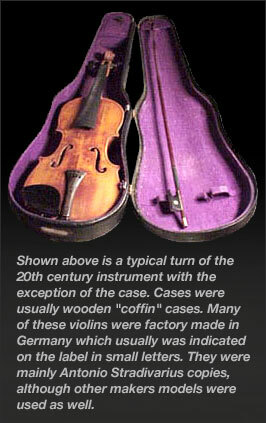 Germans started mass production of violins in the 1750's, which peaked in the late 1800's to early 1900's. Thousands of violins were made each year using facsimile labels of the maker they were intending on copying with Stainers usually being the lower end of the scale in value. Various ranges of models with labels by Maggini, Amati and Stradivarius were commonly used as well. Around 1892, legislation was passed that required the country of origin be stated on items/commodities sold in the U.S. After that era, "Made in Germany" was to be more frequently found.